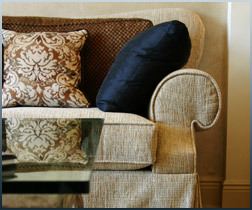 Our carpet, rug & upholstery cleaning services are professional, helpful and get the job done. But before you call us, a good advise for will be to scotchguard all of your wall to wall carpet, upholstery and area rugs. The scotchgaurd process is simple and fast: the best time to apply it is after a professional cleaning, which insure it will last longer. Once you open the door, sit back and relax: your home will be like new in no time at all. Calling us in to do the job ensures that you’ll be enjoying your carpet and furniture sooner, rather than later. Call us now for a free estimate & consultation at 866.380.4987.